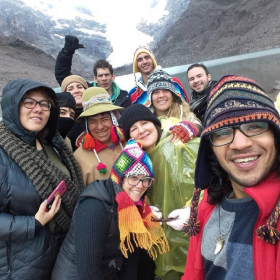 Every year a group of wild childs from all over the world, choose to elevate their consciousness, raise their vibe and connect to ancient Andean traditions to bless their path through our "Shamanic Expedition". THIS is the trip of a lifetime. 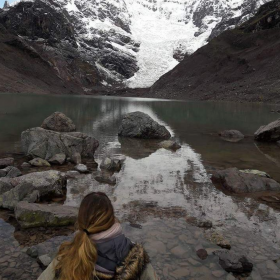 Our Shamanic Expedition gives you the once in a lifetime opportunity to connect to the Andean shamanic medicine and the traditional Q’ero shamans. The Q’eros are keepers of ancient wisdom, sacred traditions, and powerful energy medicine. Through their simple, nature-oriented ways, we will be able to connect to our deepest truth and open the doors for an abundant future. Spending time with these shamans is a complete blessing and a not-so-easy to find privilege. We consider ourselves incredibly lucky here at AWAKENED WILD CHILD to be in connection to Guillermo Soncco and his family which is a carrier of the traditional lineage. This trip will take place in CUSCO, PERU on NOVEMBER 2ND – NOVEMBER 8TH 2018. The intention of this trip is to have you go through a powerful life transformation by receiving shamanic rituals, initiations, and breathtaking tours/experiences. This trip doesn’t include flights, accommodation or meals (only the ones explained below). 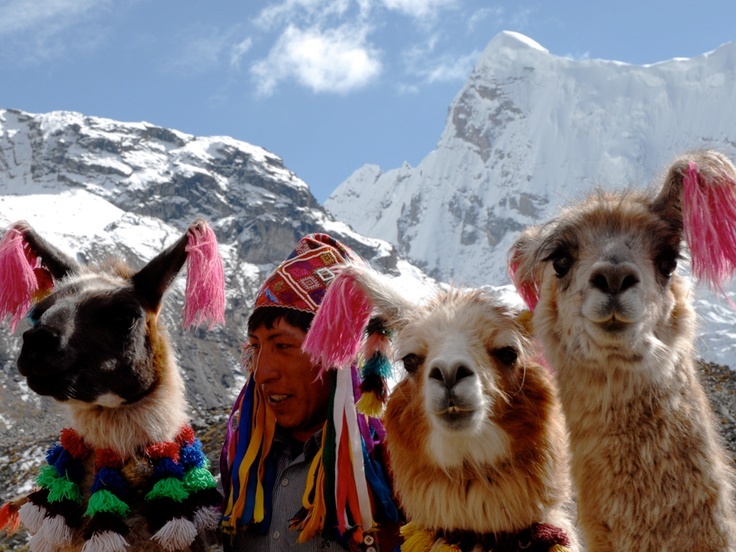 Peru is a considered a dream destination for people from all over the world due to the ancient/ sacred sites, the beautiful natural landscapes, their world-renowned cuisine and colorful culture. We have designed this trip to fit the expectations, budgets, and timelines of everybody wishing to come along. Awakened Wild Child will be taking care of the expedition itself, meaning all the shamanic activities, rituals, and adventures. 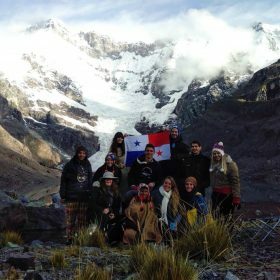 This expedition will take place from NOV. 2ND – NOV. 8, however, we encourage everybody to add some additional days to their trip and take care of their personal preferences like visiting Machu Pichu, the markets, Pisaq, Rainbow Mountains etc. which are not included in our schedule. NOV 3 – On this day, we will prepare for our rituals. Guillermo will guide us into the deepest rural markets in Cuzco to buy the flowers, offerings, seeds, and herbs we will need for the rituals. This is a really cool experience as we get to feel first hand how different Peru is from our usual city environments. It’s a great day for shopping and preparation for the most adventurous part of our expedition. Additional activities this day could include visiting the Cacao Chocolate Store near the plaza which allows you to taste special recipes made with this medicinal plant and other superfoods. 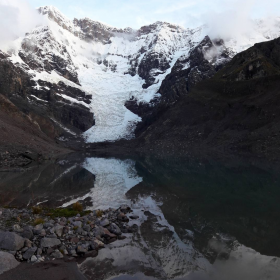 NOV 4 – Visit Quillaromiyok – This is a day trip to the beautiful mountain and natural reserve QUILLAROMIYOK (located about 1 hour from Cuzco) Guillermo will introduce us to a special cave in which he finds great peace for rituals, ceremonies, and initiations. The energy here is very powerful. We will be getting there on a bus and the ride will allow us to see different panoramas from Cusco. There we will receive our first initiation and as a group, we’ll do our first DESPACHO (manifestation ritual). NOV 7 – In the afternoon we will be visiting the Q’ero community and getting to know Guillermo’s Father Humberto Soncco. We will see how the women create the textiles and their internationally known portable altars. Here we will have a beautiful opportunity to share with the kids from the community, purchase textiles and one of a kind items as well as get to know Humberto Soncco, which is considered one of the wisest and most powerful shamans within the lineage. NOV 8 – Some wild childs will be leaving this day, others will choose to stay longer. 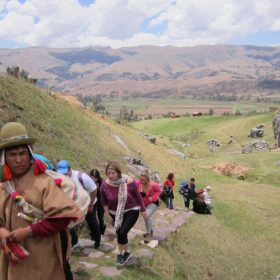 As a group, we will be visiting another sacred spot called SACSAYHUAMAN, often visited by many practitioners seeking a beautiful, calm and energizing spot for rituals. Here, we will be receiving our final blessings for our path ahead. There are 2 options for payment. A single payment of $799 (payments methods included: Panama Bank Transfer, Paypal, Credit Cards through Paypal and Western Union) or our Payment Plan that allows you to pay the total sum of $875 in 3 payments. The first Payment would be of $425, then a month from that day $225 and a month afterward the last $225. Additional shopping, textiles, crystals or souvenirs are not included. Flights are not included, however, we want to help you out to make sure you find the best ticket for you. This trip is open to everybody who resonates with these powerful initiations and wants to join us in our search for meaning and awakening. 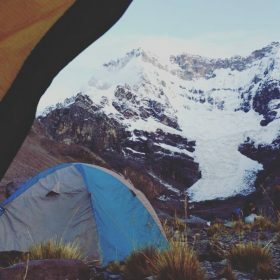 These are our favorite sites to book our flights, by entering the place you are coming from and the destination (Cusco, Peru) you’ll be able to quickly check the pricing and availability. When booking your ticket, make sure to check these sites and if there are any connections, make sure they have at least 3 hours between flights so you’re not in a rush. You can get there days earlier or stay after our Shamanic Expedition. If you just want to participate in the expedition, you’ll need to get there on NOV 2ND and be leaving on NOV 8TH. You get to choose where you’d like to stay. Depending on your budget and personal preferences, you will be able to choose your hotel or hostal from a long list of places in the Plaza de Armas, Cusco. What’s amazing about this, is that the Plaza is packed with places ranging from super cheap and cute hostels to luxurious hotels, all in the same block and at walking distance from where we will be meeting. Our personal favorite and where we have stayed every year is the “Hitchhikers Hostel”. A beautiful place with safe and comfortable dorm rooms with very low prices, private rooms with private bathrooms and additional options. If you choose to stay here, you will be close to us and ready to be picked up right at the hostel. People staying in other hotels will be in the same block needing to walk a tiny bit in order to get to Hitchhikers Hostel where we will be getting picked up for our activities. If you’d like to check out the rates and options at Hitchhikers Hostel CLICK HERE. If you’d like to see all options, CLICK HERE. 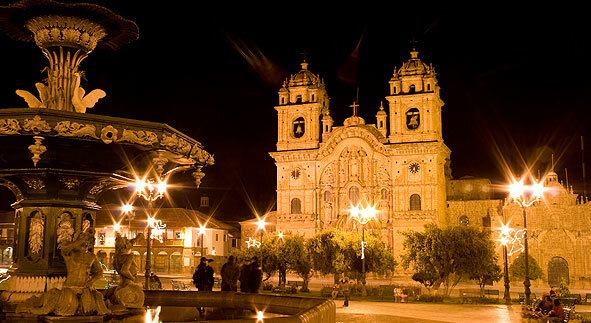 Hostelworld.com can give you a lot of information on hostels and hotels in Plaza de Armas, Cusco. Make sure to book our Shamanic Expedition first, that way we can guide you into making the best choice for your stay in Cusco, get clear on the dates etc. 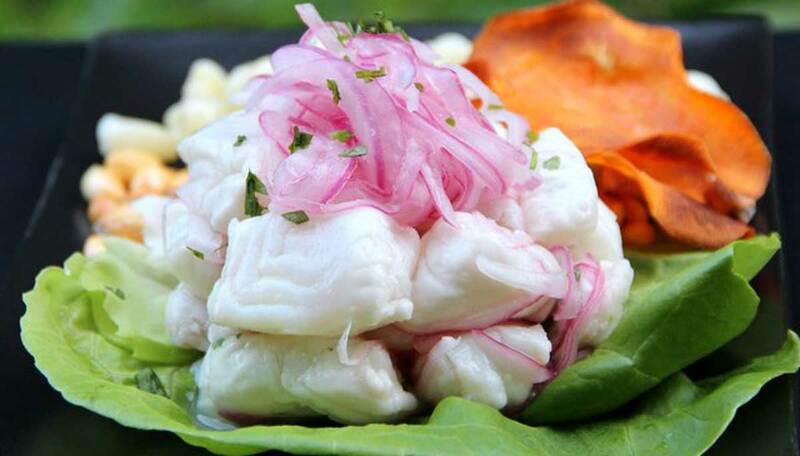 As you probably know by now, Peruvian Cuisine is one of the tastiest and most elegant cuisines out there. In Plaza de Armas, you will be able to choose each meal as you like having a ton of restaurants to choose from. We will not be eating together as a group, everybody will have the option to find the place, menu and budget they desire for every meal. We suggest when placing the booking for your hotel, to choose one that includes breakfast. Luckily, in the Plaza, there’s traditional Peruvian restaurants in all price points, vegan restaurants, vegetarian restaurants, Italian restaurants and tons of options. Awakened Wild Child promises to deliver the ultimate shamanic experience, however, obviously Peru is not only about Shamanism. 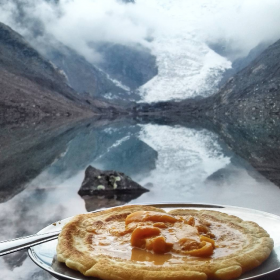 There’s many “must see” places and if it’s your first time in Peru, you will most likely want to see them all (or at least some). 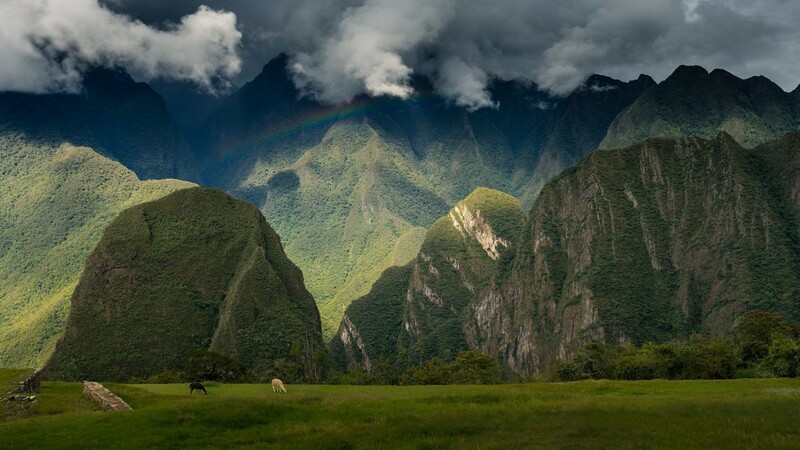 Machu Pichu, Pisaq, the Rainbow Mountains and Sacred Valley are all known beautiful tours you won’t want to miss if you have the chance to check them out. MACHU PICHU has been internationally known as one of the 7 wonders of the world because of the precision of its construction, the almost impossible-to-reach location and for the fact that it was “hidden” for over 500 years. There are many options to go visit Machu Pichu. Our recommendation is to walk around the Plaza de Armas once you get there and walk into several tourism establishments to find the best deal. There are many rumors that in order to go you MUST book it months earlier and the thing is, if you book it using the internet it’s likely you will be paying up to $300 more than if you book it right then and then on Plaza de Armas. Most of these places have tours leaving every single morning and there are many places to choose from. 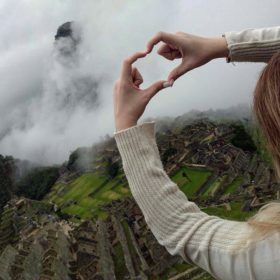 Near our base hostel, there are about 5 tour dealerships a few steps from the hostel and they provide different packages and group activities to visit Machu Pichu. 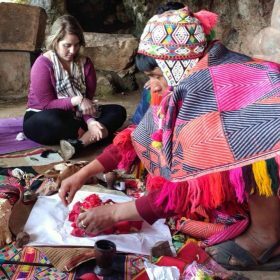 For the Machu Pichu tour, you will need two full days, make sure to plan accordingly and note that from the 2nd to the 8th we will be busy with Shamanic Activities. If you choose to visit Machu Pichu, make sure to include those additional days on your flight schedule. Here are some TOUR OPERATORS which you can check out in order to get an idea of the tour options. 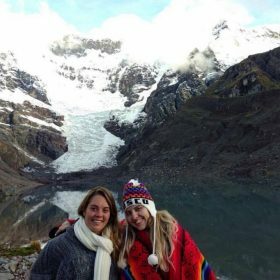 We have found great Machu Pichu tours on the plaza for $100 USD which include a night in “Aguas Calientes”, breakfast, bus ride, tickets and tour guide guidance. 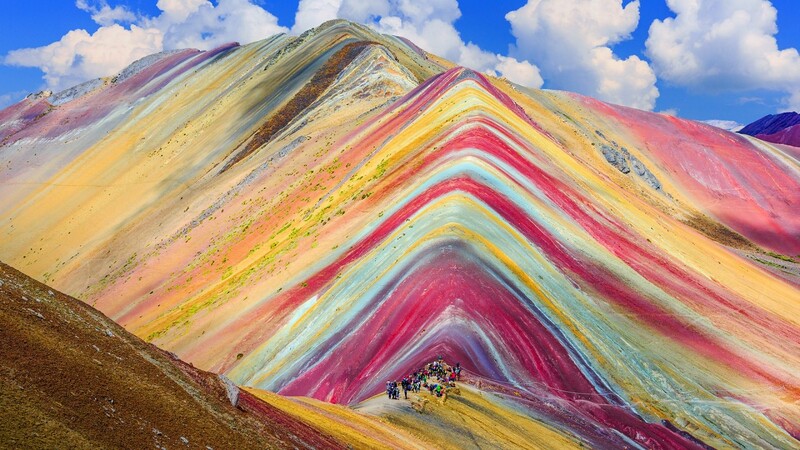 The Rainbow Mountains seen above are another one of the common choices for wild childs traveling to Peru. It is a natural wonder and to be in the presence of this stunning natural views is breathtaking. 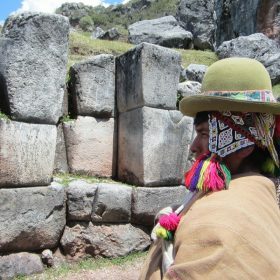 In essence, everything that will be received from the Q’ero Shamans is considered as powerful blessings, protections and boosts for our personal connection to nature, the divine and ourselves. In Andean Medicine, they have very beautiful and specific methods to bring to life desires, dreams and manifestations. By going through this Shamanic Expedition, you can be sure your life will never be the same. You will come back to your normal reality and see how slowly, everything around you will become better. You will find yourself feeling happier, more inspired and motivated. You will find the universe, very subtly, bringing to you new opportunities, better surroundings and dreams come true. These rituals will shift your vibration powerfully, from wherever you’re at into the highest vibrational frequency your body can comfortably sustain. These rituals DO NOT involve plant medicine or the ingestion of any substances. Instead, the Karpays (rituals) will happen through energy transmissions directly from the Q’ero Shaman guiding our journey, Guillermo Soncco. Each Karpay has a different intention and empowers our energy system in a different way. Each Karpay goes paired up with a “Despacho”. Despachos are incredibly powerful ways to honor Mother Earth and thank the universe for the blessings bestowed upon us. Despachos are also considered powerful manifestation tools. 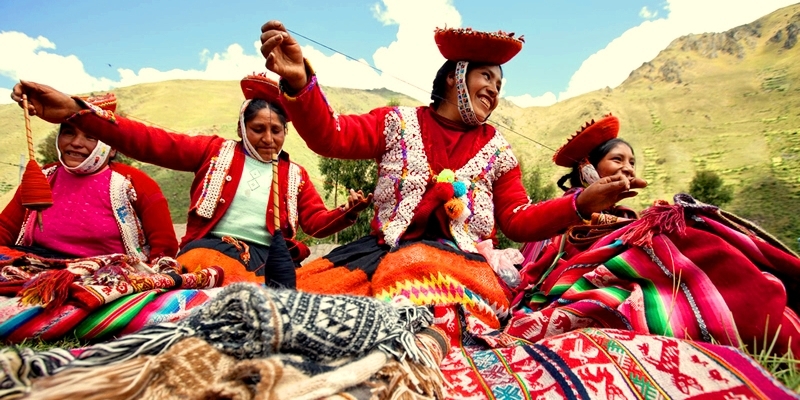 In Andean Medicine, Despachos are created as a group offering which holds the wishes and desires of each participant of the group. When done with love, dedication, and belief, it is said every wish will be granted to you by Mother Earth, the Universe, and the Cosmos. I have personally found this to be true and every year, my most sincere wishes get fulfilled thanks to these rituals and my openness to take the opportunity the Universe allows in my life. Through these rituals, you will be able to protect your family, heal minor disease, find your purpose, bring in opportunities, financial abundance and love. There is a very intricate method behind this seemingly “superstitious” act, I have found after years of study. The Despachos contemplate many aspects of the human psyche, the unconscious mind, the power of our spoken word, intention setting, the law of attraction and many many other aspects which come together to create the perfect recipe for a magical manifestation. Seeing traditional shamans go through with the creations of these Despachos, as it is, is an incredibly beautiful moment to witness, filled with intimacy, love, and trust. Apply by sending us an email at infokatiemclaughlin@gmail.com – Through email, we’ll go through the Sign-Up Process which includes a Release Form, the submission of personal information and payment. At best, spiritual teachers can only point out the potential for a path, but the student must discover and walk upon it themselves.